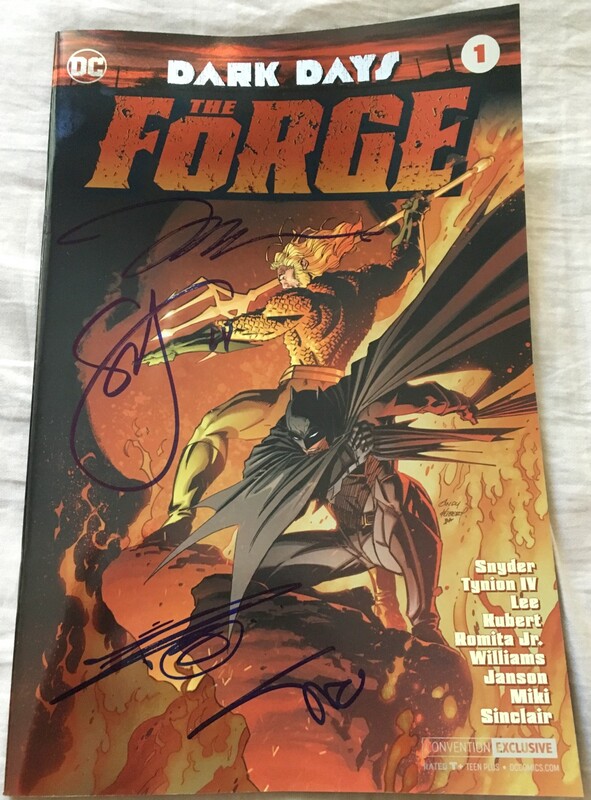 Dark Days The Forge DC comic book, 2017 San Diego Comic-Con exclusive silver foil cover variant autographed in blue Sharpie by artists Jim Lee, Danny Miki and Alex Sinclair plus writer Scott Snyder. 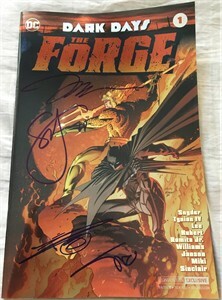 Obtained in person at various 2018 Wondercon signings, with certificate of authenticity from AutographsForSale.com. Comic may have fingerprints and other very minor handling flaws but no significant flaws.